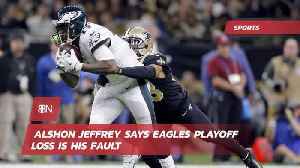 Alshon Jeffrey Says Eagles Playoff Loss Is His Fault The wide receiver's dropped pass late in the fourth quarter led to an interception which ended the team's playoff run. 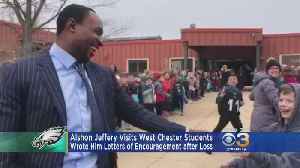 It was only Jeffrey's third..
Eagles wide receiver Alshon Jeffery surprised the second grade class of a young girl who wrote him a supportive letter. 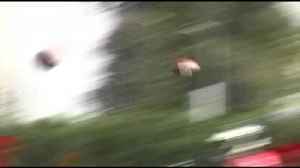 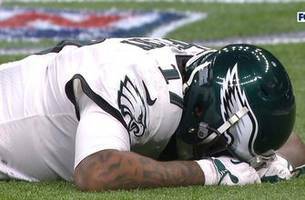 WR Alshon Jeffrey is hurting physically and mentally right now over a loss. 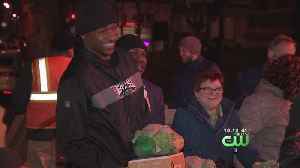 Support from Acme Markets and Philabundance made the effort possible. 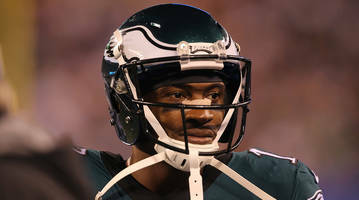 Philadelphia Eagles wide receiver Alshon Jeffery has been getting lots of support from fans after dropping a critical pass in the playoff game, including from a second grader who wrote him a supportive..
Alshon Jeffery just turned a devastating playoff loss into a really cool moment ... making a surprise visit to the 2nd grade girl who sent him a letter to cheer him up after losing to the Saints. 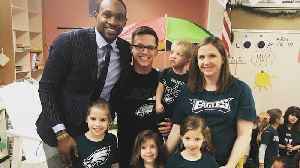 ICYMI..
Eagles wide receiver Alshon Jeffery surprised a second-grade class after a young girl wrote him an encouraging letter. 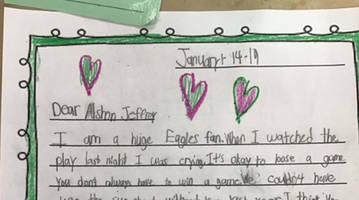 Second grader Abigail Johnson penned a letter to Eagles' Alshon Jeffery after his dropped pass secured a win for the Saints in Sunday's playoff game. 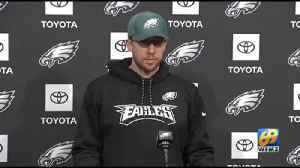 Skip Bayless thinks that some of the decision makers for the Philadelphia Eagles were relieved when Alshon Jeffery dropped a Nick Foles pass leading to an interception and the end of the game. 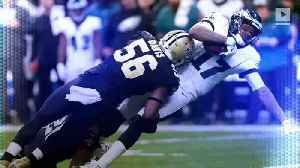 It may..
Alshon Jeffery's late drop against the Saints was only his third of the season. 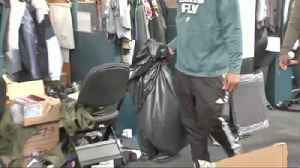 Eagles receiver Alshon Jeffery, after a crucial dropped pass late in Philadelphia's playoff loss to the Saints, said: "I let my teammates down, the city of Philadelphia, that's on me. 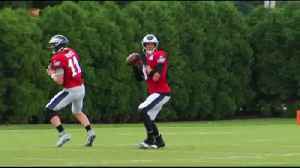 I'll take that." 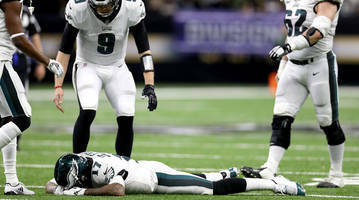 Before Alshon Jeffery dropped a pass that ended the Eagles' hopes against the Saints, he played through the game with cracked ribs, according to teammate Lane Johnson. 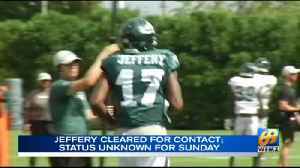 Alshon Jeffery missed a catch that could have prolonged a Philadelphia comeback. 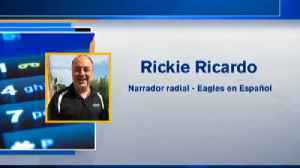 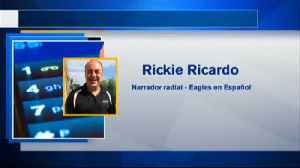 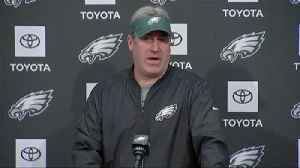 The NFC Divisional Round playoff game Sunday between the Saints and Eagles started and finished with interception. 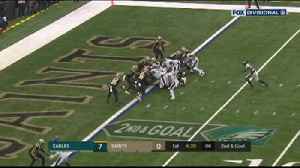 Alshon Jeffery misses the pass and it's picked off by Marshon Lattimore to seal a 20-14 win for New Orleans over Philadelphia in the NFC Divisional round. 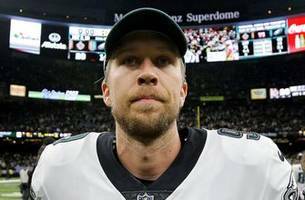 Bears fans booed long before unreliable Cody Parkey clanged the left upright and then the cross bar, ending the Bears’ season with his missed 43-yard field goal try in the closing seconds.